Despite experiencing a decade of rapid economic and export growth, Asian land-locked developing countries (LLDCs) are still in a difficult position with regard to integration with the rest of the region and the global economy. 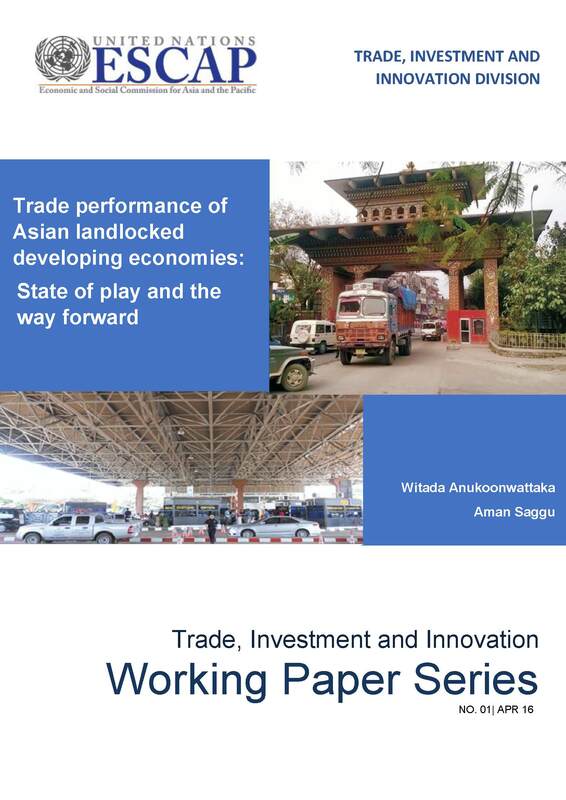 This paper examines the changes in trade structure and performance of Asian LLDCs. It shows that after a decade-long global commodity boom, most of the Asian LLDCs have become resource-dependent. In addition to their geographical disadvantages, the reasons for high trade costs in LLDCs include trade barriers and service trade restrictions as well as poor trade facilitation performance. However, as those factors are related to policies, reforms in the right direction could mitigate economic challenges facing Asian LLDCs. This study also underscores the importance of global and regional cooperation efforts to assist those countries in enacting sound trade policies and strategies that put structural economic transformation at the centre of such efforts.